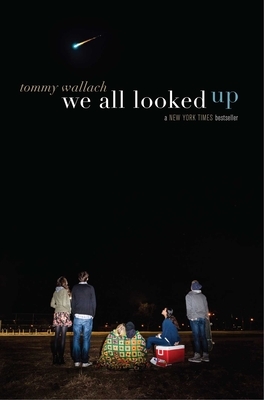 We all Looked Up by Tommy Wallach is a page-turning tale about living your life as if today is your last day. For four seniors this philosophy is very literal since there is a large asteroid heading towards earth with a 66.6% chance of striking the planet. Suddenly things like college and high school seem very trivial, but do you allow yourself to to go crazy or do you carry on like normal? What would you do if you had short time to live? This story is told from the perspective of 4 different high school teens. Each one shows honesty and strength in a world that has been turned upside down. If you are looking for believable and real characters, this would be an excellent choice.